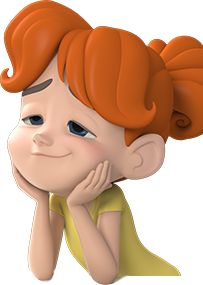 AnimSchool's Malcolm is one of the most well-known 3D characters among animators. AnimSchool's famous "Malcolm 2.0" rig! He has been used by over 35,000 animators worldwide. Malcolm has been used to win several animation contests, in notable animation shorts, and commercials. He is widely considered to have one of the most flexible and expressive face rigs available. Malcolm is a very complex, feature-quality rig, so not suitable for those just starting to learn animation. New students of animation should consider applying to be an AnimSchool student. Since Malcolm is a free gift offered to the community, we can't answer emailed questions from those outside the school about the tools or rigs. There you'll find discussions about common installation and usage problems. As well as examples of Malcolm animations. Install AnimSchool Picker. Follow the instructions on that page. NOTE: If you notice any performance problem, it may be a Maya file reference problem. If so, we recommend importing the reference. This breaks the connection with the character souce file (and you can no longer easily update the character file). We have heard some users experience a problem with referenced files, where the scene has difficulty loading or becomes slow. To import the reference, open the Reference Editor and do File>Import Objects From Reference. Open AnimSchoolPicker to select the controls and switch outfits and hairstyles. NOTE: The following files are made by users and are not supported by AnimSchool. They may not be fully tested. For support or questions, visit www.animschoolforums.com and post your question in the mods section. Unzip malcolmFemaleJoshSobel_v100Maya2011.zip (or the current filename)Follow the instructions for Malcolm above.Note: In the viewport, use Shading>Hardware Texturing to the see the face coloring. This file was made by users and is not supported by AnimSchool. For support or questions, visit www.animschoolforums.com and post your question in the mods section.